This print depicts Steve McQueen in his role as JR Bonner in "Junior Bonner". The movie and its plot were ahead of their time, and speaks to what is still the greatest threat to the Western way of life today. There's a little JR in all of us that truly care for the land. 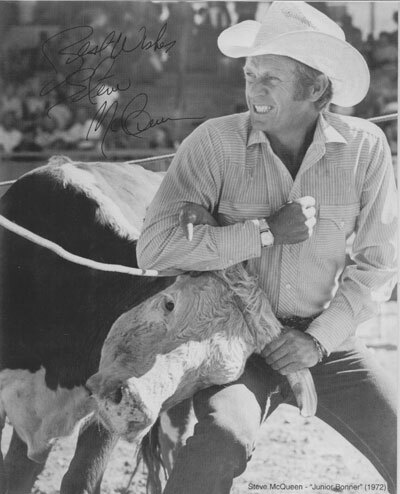 The print is autographed with a "Best Wishes" from Steve McQueen.